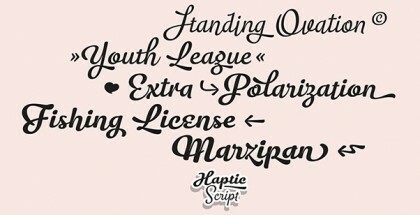 Wanderlust Letters typeface is a brand new script that follows the unwritten rule of Cultivated Mind foundry to create handmade fonts. This one makes no exception as it is completely hand drawn with pointed brush. It is a delicate matter to transfer a drawing into digital format – it is sometimes very difficult to decide what part of the original artwork to keep and how much to manipulate it before reaching the final result. Cultivated Mind did their best with Wanderlust Letters because it is obvious that the font preserves the organic style of natural handwriting and covers the demands of modern digital formats. At the end you have a real flexible and very functional digital version of a unique crafted font. Wanderlust is perfect solution for artistic packaging, art posters, stunning t-shirt designs, but you could also use it in cosmetics industry, toy packaging as well all for invitations, greeting cards, etc. In fact wherever you need its playful friendly rhythm, high contrast and authentic handmade look. As an extra addition Cultivated Mind have created the Wanderlust Letters Extras – a font sharing the same style of Wanderlust Letters but fully dedicated to ornaments, catchwords, banners and figures. 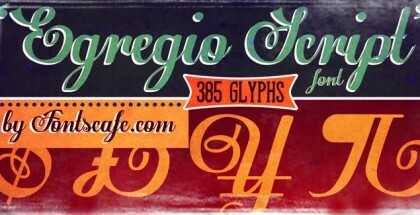 This beautiful typeface is created by Cindy Kinash and published by Cultivated Mind Type & Design. If you enjoy Wanderlust Letters you will possibly find a lot of inspiration in few other fonts featured on Fontmatters – follow the links and discover the best of Cultivated Mind – Local Market, True North, Ciao Bella, La Chic.